Greenleas is proud to have been awarded the Values-Based Quality Mark as recognition of the vital role that Values play in the life of the school. 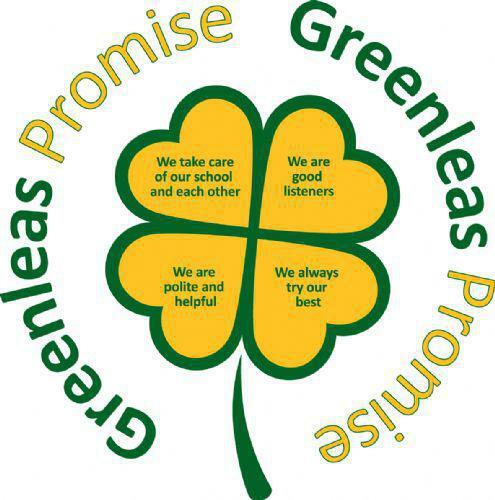 At Greenleas, every aspect of school life, is based on the way that values are lived. It is transformational, in that it invites cultural change that is based on equity and respect for all. It is challenging, as it calls us to ask what we can give to life, as opposed to what can we get from life. It promotes a way of being that values the self, others and the environment. It is simple: yet profound in its effects. We are excited to introduce our Values Champion Award. Children ranging from reception to Y4 have been chosen by their classmates because they have demonstrated our school values such as respect, co-operation and understanding. To celebrate, the children enjoyed a special tea party with Mrs Clarke. The award will be given out at the end of each half term with classes taking turns to vote for their Values Champion. • Democracy is active within the school. Pupils have the opportunity to have their voices heard through our School Council and Pupil questionnaires. The election of School Council Reps is based solely on pupil votes. • Children also have the opportunity to vote for Values Champions - an award to celebrate those children demonstrating the school values. •The importance of rules to keep us safe are consistently reinforced throughout regular school days. •Pupils are taught the value and reasons behind rules, that they govern and protect us, the responsibilities that this involves and the consequences when rules are broken. •Visits from authorities such as the Police and Fire Service are regular parts of our calendar and help reinforce this message. •Through the RE curriculum children learn that their right to hold differing faiths and beliefs is protected in law. •Pupils are encouraged to know, understand and exercise their rights and personal freedoms through our Values Education and PSHE curriculum, e.g. "It’s good to be me", Independence, Flexiblity and Fairness. •Within school pupils are actively supported to make choices by our safe and supportive environment. •Sports activities promote an attitude of equality and fairness. •Our PSHE curriculum embodies values of mutual respect. •The school runs buddy schemes to develop mutual respect between pupils across different phases. •Weekly celebration assembly places equal value on pupils’ achievements. •One school on two sites promotes an ethos of diversity yet equality.